“Too unconcerned to love and too passionless to hate, too detached to be selfish and too lifeless to be unselfish, too indifferent to experience joy and too cold to express sorrow, they are neither dead nor alive; they merely exist.” Martin Luther King Jr. But that’s not you. No. You’re a writer, living at the height of your passion. Dreams, hopes, rage, swoons—oh, it’s the writer’s life for you! That’s why you’re reading Seriously Write, to get the edge on your dreams. —Your writing passion is bizarre and will create a life that doesn’t look like those of your friends. If you’re not okay with that, drop writing and pursue normal. —The obsessions is okay. People in the Bible, biographies, and people who changed the world were obsessed. You’ll lose friends because they wish they had something to obsess over, but that’s okay. Maybe your example will encourage them to find their passion. —Energy on many projects won’t get them done. Focus on one project to its completion. Then move on. —If you’re unsure if you should commit to something, the answer is definitely no. Only do the absolute ‘yes!’ “Want to go to the party tonight?” If a party’s not your dream come true, the answer is no. “Read this!” Meh. The answer is no. Life is too short for meh. —It’s okay not to be the perfect friend, mother, brother, housecleaner, church member, because God makes up the difference. There is no such thing as perfect, no matter what church authorities drill into you. —Raising children while you write? Your children will be a bit twisted. That’s okay. They will see how to follow their passions and dreams. —Take care of yourself first. Sleep. Exercise. Eat right. No, you won’t enjoy creating a healthy body and mind, but you’ll do it. It’s called ‘Protecting the Asset.’ Live longer. Grace the world with your presence and your work. —Procrastination is only good if you’re letting your mind wander. Otherwise, just get to work. One trick is to use Mel Robbins’s five second rule. It takes the mind five seconds to talk yourself out of following instincts. Count backwards from five when you have the instinct to write but don’t want to. It’s odd, but it works. —Think, read, watch only the fascinating. Cut out the frivolous. Wash away the boring. It’s okay not to put up with sludge. —Play. A lot. Play ‘sparks exploration.’ Forget how to play? Remember what you liked as a kid, and start there. —Do you gamble? Yes, you do. With time. Instead of pulling the handle on the slot machine for a meager payout every 6-10 tugs, you’re flipping from your writing to Facebook or twitter or blog or text or email in hopes that you’ll see something that will pay out emotionally. Sometimes it does. But mostly, it doesn’t. DON’T WRITE DISTRACTED. EVER. Let your mind wander while writing, and you’ll coax out amazing and bizarre ideas. —Wake before everyone else for quiet time. —You’re a slave to information. Stop. Control the information. When the alarm jerks you out of sleep, roll out of bed. Don’t snooze. Get the day started right. If you must, count backwards from five to keep your mind from talking yourself into staying in bed. While getting ready, keep a planner nearby to jot down ideas for your day. THE SECOND you check your phone, something outside your mind controls you. A hurricane. A riot. An email with a task. Don’t start the day with your mind fixated on something other than what you’re about—your writing and plots and formulating your day to manage errands, school, kids, and meals and fitting writing in. As horrible as bad news is, focus on your own mind first. Maybe fill it with God’s precious words. —Never binge watch TV. Watch a bit and reflect. Read great books and reflect. Sports scores and Hollywood gossip are frivolous. —Don’t forget, you have choice. From big to small, you choose everything. You chose to have more children. You chose your job, your home. You chose your spouse. You chose the culture of your house. You chose your church. Not choosing is a choice. Keep choosing with purpose. Keep in mind, as a writer, cutting out unnecessary words is vital to great writing. Do the same with your life—Less But Better. And after some time, you’ll find you’re getting an edge on your dreams. 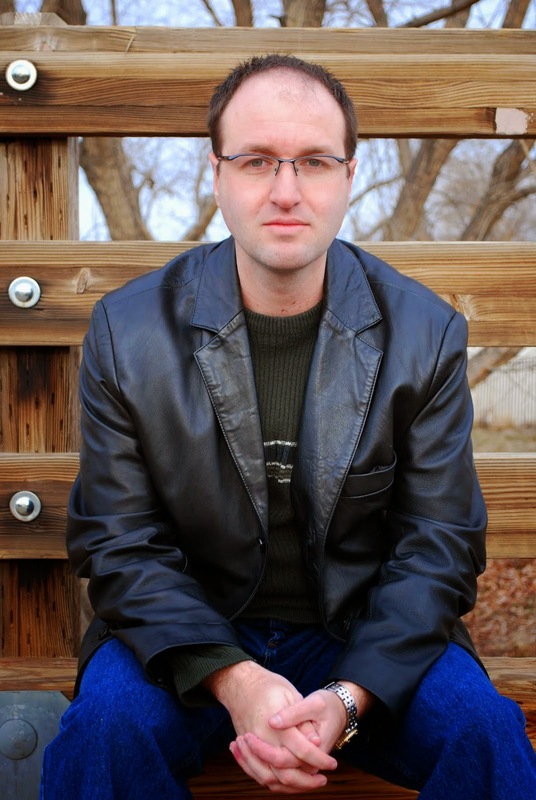 Peter Leavell, a 2007 graduate of Boise State University with a degree in history, was the 2011 winner of Christian Writers Guild’s Operation First Novel contest, and 2013 Christian Retailing’s Best award for First-Time Author. Peter and his family live in Boise, Idaho. Learn more about Peter’s books, research, and family adventures at www.peterleavell.com. This entry was posted in education, words, Writing and tagged Discipline, Peter Leavell, Seriously Write, the writing life, Tips for the Seriously Writing, Writing. The Writing Craft. Bookmark the permalink.